Truth is found in believing that you do not have to jump through mental hoops to be saved—to become a Christian? Simply realizing you believe in Jesus as the Son of God and the finished work of the cross for salvation is all that is necessary to run into the throne room of God crying “Abba, Abba”, “Daddy, Daddy”. Jesus became sin for you and died for your sin (the work of His blood shed for you). He died to bring you with Him to the cross to crucify your old man with its sinful nature and bring you up from the grave, a new creation, into newness of life-totally dependent on His Life being lived in oneness with yours (the work of His body broken for you). This is all His work, nothing required of you. (Galatians 2:20) As you consider this, would you call me a heretic or would you say I have embraced Jesus in all His fullness, which includes His finished work on the cross? I have realized that nothing, nothing, nothing of me was responsible for my salvation—the fact that I am now a child of God, a joint-heir with Christ, righteous, holy, pure and perfect. That certainly doesn’t depict my behavior but it does characterize my spirit, one with Christ. It does describe how God sees me. He sees me, complete in Christ—just the way He created me. He doesn’t even have to look through Christ or the cross to see me. I am invited to live from my union and the purity of the Life of Christ every day of my life. Jesus, our Fountain of Life, invites you to just come to Him. He’s already done all of the work to get you where you need to go—an eternal relationship with God. As you fall deeper in love with your First Love, Jesus, you will want to repent and totally depend on Him to be the Way in this life, knowing that one day, you will spend eternity with Him. It all starts on this earth by simply realizing you are saved by believing – believing Jesus is Who He says He is and believing you are who He says you are. 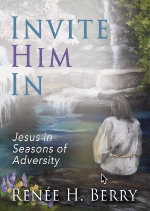 (John 6:28-29) If you have never considered this, Invite Him In! You will experience the free gift of salvation and grace and an adventure you can’t even ask, think or dare imagine! That is New Covenant Living. Would you like to know more about New Covenant Living – the abundant life that Jesus speaks about? At Abundant Grace International, we offer one-on-one Discipleship Counseling, couples counseling, conferences, and further training in understanding the Truths of the New Covenant of Grace. We are a 501 (c)(3) non-profit, Christ-centered, Biblically-based Discipleship Counseling ministry. We are a part of an international network – Network220.org. For more information, please visit our website abundantgraceintl.org. We invite you to call today for a personal and private meeting with a counselor. Call 864.270.5531 or click here to contact us. 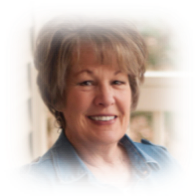 We are grateful to receive Renée Berry as a staff member with us at Abundant Grace International. She brings with her Godly wisdom and discernment from many years of experience. We can only marvel as we continue to see our Father supply the need for humble and qualified servants to minister to His people.